Iceland—that cold, grey, moss-covered lava rock of a country—has been enjoying a renaissance for about ten years now. Tourism there has grown exponentially, especially with the relatively recent surge in stop-over flights. But skincare? That’s not something Iceland is known for, necessarily. Wool and fish, for sure. But high-end face creams? Not until now. Bioeffect, a new-ish Icelandic skincare company, is changing all that. Their hero product, a serum with only seven ingredients (including an ultra-special bioengineered EGF grown in barley plants) is making waves. The company was founded by three geneticists who spent years developing recombinant proteins in plants for use in medical research. When they discovered a way to bio-engineer a plant-based replica of EGF (a naturally-occurring human protein—more on that here) in barley, they began making skincare. In humans, growth factors are a substance—like a hormone, vitamin, or protein—required for the stimulation of cellular growth. They’re naturally occurring, and typically act as signaling molecules. In the scientific world, “cytokine” is interchangeable with growth factor, though growth factor puts a more positive spin on the job; some cytokines can also inhibit cellular growth. Recreating EGFs in the lab can happen in a few ways. Scientists have experimented with bacteria, which can obviously pose an additional unwanted risk, and they’ve also grown EGFs using human stem cells. Some people aren’t so keen (morally, ethically, legally) to put human cells on their skin, even if they’re genetically engineered. This is rough, but here’s what the scientists at Bioeffect did to solve that problem and grow a lot of EGF: after isolating the human EGFs they were interested in, they replicated the design and spliced it into barley cells. They grew a plant, harvested seeds, and went through a process of seed selection for several years to develop a seed with the highest concentration of EGF. Now, in a beautiful, self-sufficient greenhouse on the volcanic rock of Iceland, crops of EGF-bearing barley are sowed each year. According to Dr. Michael Longaker, who collaborated on this Stanford study of how EGFs accelerate wound healing, animals lick their wounds because their saliva contains a high concentration of EGFs. So in a sense, EGFs do work to improve skin quality. Bioeffect has also been involved in several studies, all of which yielded pretty incredible results. Dr. Martina Kerscher, a dermatologist and professor at the University of Hamburg, conducted a double-blind study. An apparent skeptic, the results surprised her: not only did participants perceive improvement, notable changes were documented by the results-analyzing scientists involved. The product Dr. Kerscher tested was the serum ($185), which delivers the EGF in a simple seven-ingredient formulation (everything is made in Iceland). It’s a simple, thick, nighttime-appropriate serum that doesn’t blend well (experts say the EGF serum is easily thrown off-balance). Other products in the line include an eye-specific serum ($95), a day serum with a lighter texture ($150), a face cream ($90), a volcanic exfoliator made of local volcanic rock ($42), and a body intensive serum ($120). Note: This is not sponsored content. We are genuinely intrigued by this product. 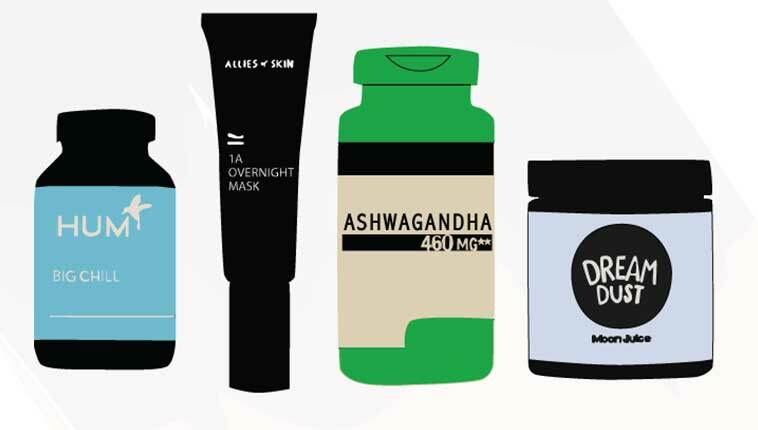 Ingredient check: what’s EGF? What’s a growth factor?